To say that McDonogh’s Kyle Whitaker had a big game when his Eagles traveled to Archbishop Spalding, on Thursday, it might be the understatement of the young baseball season. Whitaker, a junior third-baseman, blasted three home runs in a 4-for-5 performance, scored three times and drove in an astounding nine runs in leading the Eagles to a 15-11 victory over the second-ranked Cavaliers, in MIAA A Conference action. McDonogh battled from behind twice in the contest, which was halted and made official after six innings due to darkness. 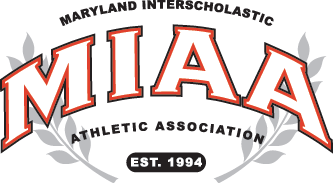 Down 3-2 entering the top of third, McDonogh took its first lead with a five-run third inning, key by a three-run home run by Whitaker. It was Whitaker’s second home run of the game, as he put the Eagle on the board with a solo blast in the second. Spalding went back on top, 9-7, with a six-run third inning, but McDonogh battled back with one run in the fourth and went back in front with four in the fifth. The Eagles added three more in the sixth and all the Cavaliers could muster were single runs in the fifth and sixth innings. Whitaker drove in McDonogh’s eighth run with a single in the fourth before launching his second three-run blast in the fifth. Everett Cooper also had a monster game for McDonogh, going 4-for-4 with a double, a triple, a walk, one run scored and two RBI’s. Joe Radek added two hits, a run scored and a pair of RBI’s. Spalding got home runs from Adam Barclay and Cory Blohm. Barclay was 2-for-4 with two runs scored and three RBI’s, while Blohm drove in two. Also for the Cavaliers, Justin Caesar was 2-for-3 with a doubles, two runs scored and an RBI. John Moylan had a pair of doubles and two RBI’s, while Ben Wieman also doubled. With the win McDonogh (6-5 overall) improved to 3-2 in league play and has placed itself clearly in playoff contention. Spalding (6-4 overall) lost for the second consecutive time and fell to 2-3 in league play. Pictured above: McDonogh’s Kyle Whitaker, who hit three home runs and drove in nine runs in the Eagles 15-11 win over Spalding.